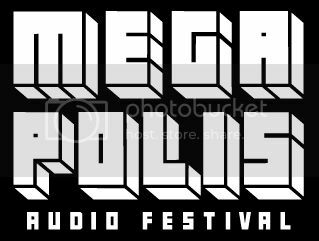 The Megapolis Festival is a weekend-long celebration of the craft of DIY audio creation. Artists, documentarians, musicians, and fans come together to share secrets on producing and presenting challenging audio works online, on-air, and on the stage. A few of the happenings for our inaugural festival include: a featured presentation by audio legend Gregory Whitehead, a circuit-bending workshop for building your own weird instruments, an audio-based slumber party that may or may not include “Seven Minutes in Heaven with a Microphone,” a bicycle-powered 8-track player, a performance by a typewriter orchestra, a Max Neuhaus-inspired radio station created by you, and lots more. Read the schedule for the most up-to-date listing of events. Binaural Technique Demo - Rafael Sentoma from Bird vs. Alligator on Vimeo. Over my time in Reykjavik the frostline on the Reykjanes Mountains had dropped day after day and Saturday was the coldest day. It was crisp and clear as the temperature ducked below freezing and puddles became solid. Inside the airy and reverberant acoustics of the venue Iðnó, Rökkurró took the stage. Rökkurró is currently headed on tour across Europe and will be featuring a choice selection of my ultra hi-fi binaural recordings of their Iceland Airwaves 2008 performances on a limited release special edition EP that will also include brand new songs. Check their site for info www.myspace.com/rokkurro. If you have a chance to see them: do not miss it! I'm standing where the waterline has historically been. You can see that it is now hundreds of meters out due to 7 years of drought. I stayed on the Sea of Galilee which is really more of a lake. It is a primary source of water for Israel. Though Israel is in the midst of a 7 year drought so the shores are vastly receded. Boats in Tiberias' harbor, which sits on the Sea of Galilee, sat on rock because the water level was so low. However, this general area is in the more green part of the country compared to large desert expanses in the south. This means that there is abundant wildlife and plant life. Staying here for a few days I was able to take in the sounds at a few different times of day. It is amazing how different a place sounds throughout the course of the day.